So you are thinking of introducing bar models to your school? It’s an exciting feeling, we know as we’ve spoken to and supported many schools in implementing a whole school bar modelling approach all over England. Though it’s an exciting time, there are a few things to consider before implementing the approach and a few other points to cover whilst your teachers are formally introducing bar models to pupils in your school. As we visit more and more schools trying to introduce the bar modelling approach in their settings, we can see that many schools are making various mistakes and after the initial excitement and eagerness to reveal a fantastic strategy to their staff and children, it can quickly feel like an uphill task. What are these mistakes? CPA Approach – Not fully using the CPA approach is the first major mistake when introducing bar models. Why does this happen? Well, you may have seen bar models on our website and in books but that may mean you’ve only seen them as pictorial representations. When introducing bar models to your pupils it’s imperative that the teachers follow Jerome Bruner’s’ CPA approach. This means that it’s important for teachers and children to use concrete materials for bars when attempting to use this strategy to solve problems. 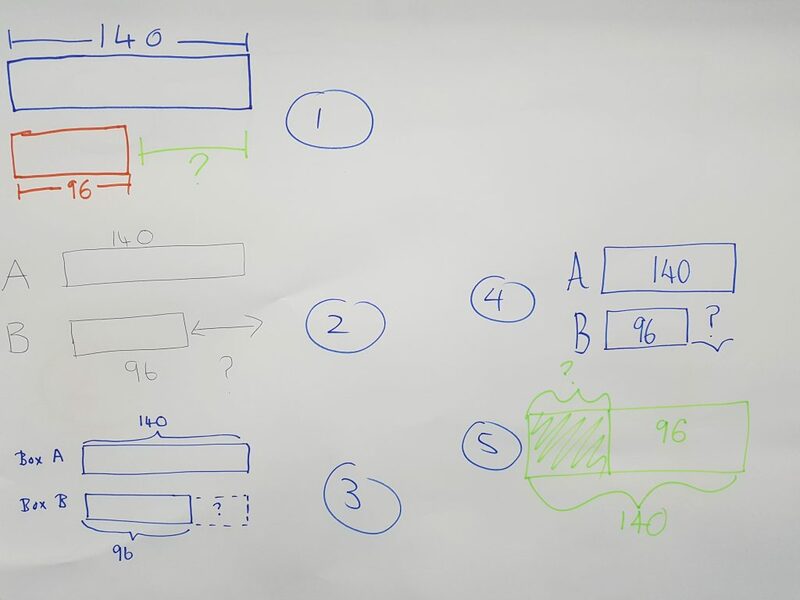 More recently there have been commercial products, like the ones in the above picture, which has meant some teachers using the bar model approach use concrete materials when modelling some questions, but is it being used consistently? Are your teachers consistently using concrete materials? Are you letting your pupils use concrete materials? How can you consistently use concrete materials? When should you let your pupils move to pictorial representations? Is there a transition technique that allows my pupils to smoothly and accurately understand and draw bar models? If your school doesn’t use the CPA approach consistently then what is likely to happen is that your pupils will not understand the key elements of the bar model approach and they will not be able to generalise and therefore master the approach. Consistency – We always aim for consistency in what we say and do in our schools but when it comes to bar models we’ve seen many schools forget about consistency. Why? Well, we think it’s mainly because bar models all look the same – like bars right? So as long as my teachers are drawing bars it should all be consistent, surely? Right? Wrong! So what do we mean by consistency? Have a look at the picture below… In the above picture, our group of delegates from over ten schools came up with various different ways to draw the Singapore model solution for one questions. The actual question was a very simple subtraction question yet even for one of the most simple model questions we had various different solutions offered to us, and this happens in every training session we deliver. Should we allow the teachers to draw them how they think is best? Is that a good whole school approach? Is there a problem with allowing teachers that freedom? What should we do? A consistent approach will always result in a more efficient use of bar models throughout the school and lead to fewer pupils being confused and fewer mistakes from both teachers and pupils. So is there a need to be consistent but what is the best approach from the above pictures? Is there a better option than the ones the teachers have suggested above? What would the National Institute of Education subscribe in Singapore? Are we training the teachers in the same way? Is there room for flexibility, if so what would that look like? All points for us to consider before we start to introduce bar models to our school. Basic Models – In many schools, there is a lack of focus on the two core bar models. The Part-Whole and the Comparison models are the two core models and at upper KS2 level, where many schools are using Singapore Maths textbooks, teachers have jumped into the top end of the model questions even though the schemes are relying on pupils having experience in using model in the previous years’ of primary education. As pupils don’t have this experience many are not too sure about bar models as we’ve forgotten to go through the basic concept of part-whole and comparison models. Even within these models, there are core foundations which have to be carefully taught through high-end questioning and visual modelling to get the most out of the model approach. The Model or The Maths? 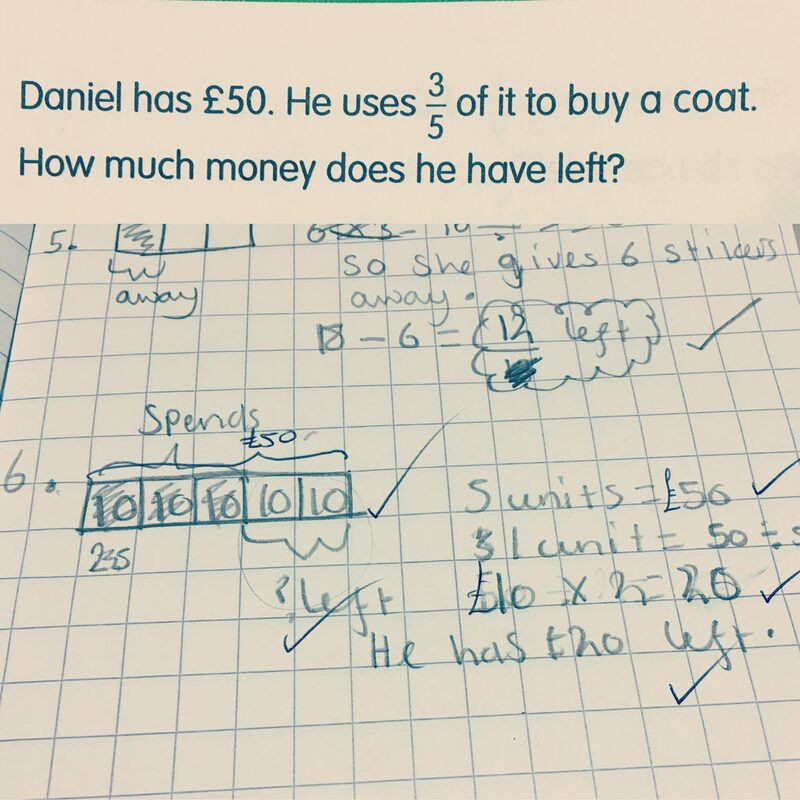 – When things are not going well in a lesson using bar models, many pupils and teachers start blaming the model approach for the failure to solve a question. In many of these incidents it is the failure to understand basic models and also choose the appropriate model. When do we use the part-whole model? Should I use the comparison model? How do I know which one to use? That’s the first issue many pupils will face but let’s say we get over that issue. In some questions, pupils may not be able to solve questions because they can’t visualise the world problem. In other cases, they won’t be able to do the maths to solve the questions, but this would be very few pupils as most questions you will need to be able to confidently use only the four operations. So how do we overcome the first problem, as the second problem (not being able to add, subtract, multiply and or divide) should be covered before pupils look at such word problems? Experience – This is two fold. From a teacher’s point of view and also from a pupil point of view, in both cases, we lack experience. Many schools jump into the textbooks without thinking about the lack of experience children have in using the model approach but equally as devastating, in some schools, is the lack of experience teachers have and the fact that they feel they have been flung into the high-end bar model questions means the sink rather than swim. How can we prepare pupils for the high-end questions before we get to those chapters? How do we allow our teachers to build their own confidence or shall we just let them dive in whenever they come to a chapter on bar models? The above are just the top 5 mistakes we are making in Introducing bar models in our schools. Each school has unique differences, some schools use textbooks like the very popular Maths No Problem, Singapore Maths, series or the OUP Singapore Maths books whilst other schools are trying to use free resources given away by some maths hubs as well as resources found online. Whichever approach you are using try to assess whether you are making the above mistakes as otherwise, you will not be able to extract the most benefit from the bar model approach.